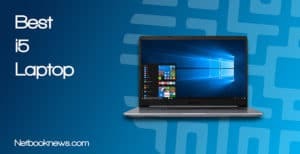 What Features Do I Need To Check Before Picking A Laptop? What Hardware Specs Do Buyers Often Overlook When Picking A Laptop? If you’ve spent any time browsing the laptop options online these days, you’ve probably noticed the explosion of brands. While many knock off brands offer cheap computers, they won’t always be of the highest quality or come with the best warranties. When you demand a solid experience from beginning to end, you may want to stick to a bigger name. We spent almost an entire week to gather, compare, evaluate, and finally come up with our top 5 best Dell laptops this 2018 for any kind of user. There is no way to choose a “best” laptop unless we boil down to a specific criteria. Here, we decided to show the best options for gamers, students, business users, and the budget-friendly crowd. When browsing Dell options, keep in mind different product lines are meant for different purposes. Dell’s Alienware brand for instance is aimed squarely at the gaming crowd, while the XPS line tends to be thinner and features high resolution screens. 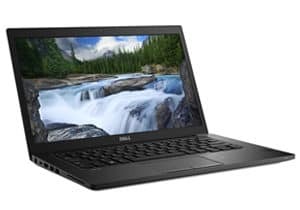 If you don’t need a full Windows machine and just browse the web, Dell also offers several Chromebook models. If you’ve seen a better model than those we have listed below, be sure to let us know so we can add in your picks! You can head straight to the review section to learn why these 5 contenders are the best in their class, or read our buying guideline below to make sure your money is spent accordingly. 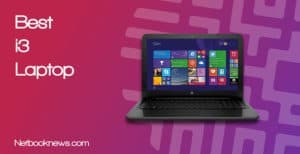 What features do I need to pick before buying a laptop? 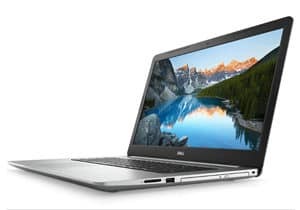 In 2018, the hands down best overall laptop from Dell is the Inspiron FHD 15.6″ model. This particular machine offers the tried and true clamshell design with touch screen functionality and unbelievable specs for a decent price. If you need a machine that’s more lightweight and offers a 2-in-1 hinge for folding around like a tablet, we’d recommend going with the Inspiron 7000 instead. Need a great overall portable computer without going over budget? When its cost that is your biggest factor, the Inspiron 15 3000 should easily be your first pick. Want high end performance without emptying out your bank account? That’s what you get with the new Dell Inspiron 15 3000. There aren’t many laptops out there that offer both a solid state drive and a full 8GB of RAM for under $500. You get both here, which is a rarity without resorting to buying a used or refurbished model. This brand new option gives you all the speed you could want, along with a full size keyboard. It doesn’t skimp on the ports for extra functionality either. Want to hook up a few extra USB devices or an HDMI monitor? No problem! The only feature you don’t get with this entry-level option is a touch screen. If you need that function, scroll down to some of our other contenders below. One other concession is made here to get such a low price point, and that’s the i3 processor. For most home or office users, that won’t be an issue, but power users may want a higher end CPU. If you prefer a more powerful processor to speed up Windows updates or run higher end software, there are still budget options available. Need a dependable laptop with great battery life and extremely low weight to carry around to class? If you are heading back to school soon, this should be your top Dell 2-in-1 pick. For college students, whether this is your first semester or you are returning for your senior year, portability should be your top feature. You want a laptop that’s thin, light, and easy to carry between classes and to your home or dorm room. For the best overall Dell college laptop, we recommend the Inspiron 7000. With its 2-in-1 hinge and 13 inch screen, you won’t find a lighter, more portable option. 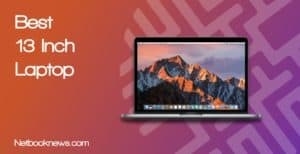 You don’t lose out on hardware either, as the combination of i5 CPU, 8GB RAM, and solid state drive will give you plenty of speed and power. If you don’t mind getting used to the compact keyboard design of a 13 inch notebook, this is a perfect option for school. Note that there’s no built-in graphics card here however, so if you game after class you won’t be able to play on high graphics settings. 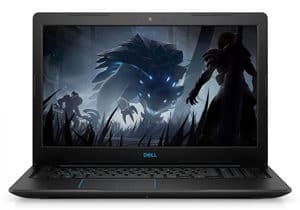 If you want more of a gaming machine that can also be used for schoolwork, check out the Dell G3 listed below instead. Want to keep the low weight and slim profile of a 13 inch device but prefer a clamshell design over a hybrid 2-in-1? The Dell XPS 13 is a great option that’s still very lightweight but has the traditional design some users prefer. Need quality, dependability, and great battery life for a full work day? 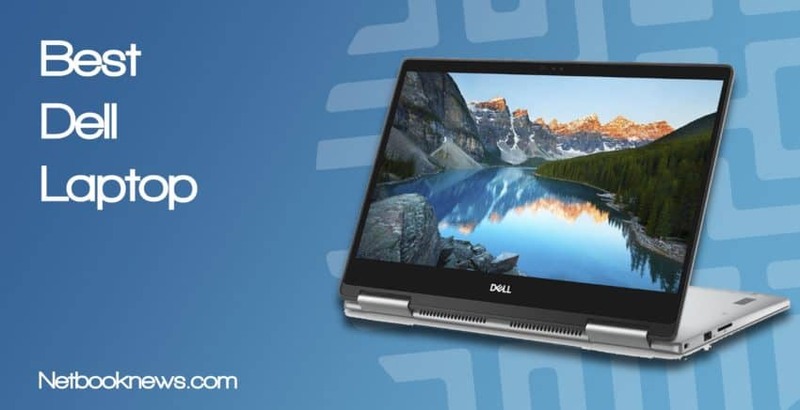 This should be your top pick for a Dell business class laptop! The best Business-Class Laptop Dell has to offer. Thanks to the Intel Core i7-7600U processor, you can open as many applications at your disposal and have no compromise whatsoever in terms of lag time. Not only that, but this 14.0” has a Full HD display that also boasts an IPS panel. That means you get to experience wide viewing angles and better color reproduction. With 8GB of DDR4 memory and 256GB of SSD storage, you can definitely rely on this laptop in terms of loading and boot times. Working in a dim area? No problem! This has a backlit keyboard to make sure there’s no keys left unstroked. With the Latitude 7480 you also get solid battery life, so you should be able to get your job done before any deadlines. 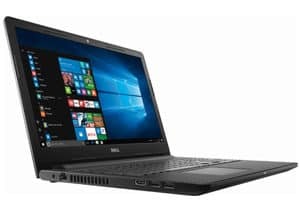 If you want the best laptop for office and work, get the Dell Latitude 7480. There are potentially two reasons you might want to pick a different model however — if you need a touch screen, or if you prefer a full size 15” display. 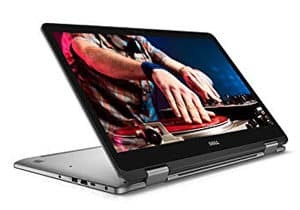 In either case, the Premium Dell Inspiron 15 5000 will be your better choice while offering the same overall specs. If you’ve got more money to spend on your work laptop, that model is also available with up to 32GB of RAM. For memory-intensive work tasks like CAD software, that can be a major plus. Want to play nearly anything on high settings while staying in a reasonable price range? This should easily be your top pick for a Dell gaming rig! For its price tag, this bad boy is a premium gaming laptop for under $800. Gaming with this laptop is going to be smooth with the 4GB GTX 1050 graphics card. This should allow you to push in-game settings from medium to high preset without compromising the FPS count. The 8th gen i5 processor will also handle most newer games without any hiccups. For gamers who want something a little flashier, you also get a striking blue backlit keyboard for illuminating your late night gaming sessions. To offer so much gaming power at such a low cost, there are a few trade offs, however. Notably, the 256GB SSD will fill up pretty quickly when installing new AAA games. That’s not that big a deal however, as you can use an external hard drive, or just manually upgrade to a larger SSD. Willing to double the price in exchange for a top-of-the-line graphics card for playing in ultra settings? The Alienware 17 R7 should fit your needs. While the cost is much higher, you get an even more powerful GTX 1060 graphics card, as well as a 17 inch display. Want the best of all world with portability, power, and a touch screen? This should be your top pick for an excellent well-rounded machine to meet any kind of usage needs! 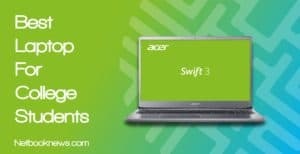 Looking for a well rounded laptop that’s good at everything? Look no further than this high end Inspiron model! For nearly any type of user, this is your perfect option if you crave performance, speed, and dependability. Want to stream videos all day? No problem, the IPS panel features an incredible resolution and ample viewing space. Need to keep dozens of tabs open or run multiple programs at the same time? That’s not an issue this 8th gen i5 processor and a full 16GB of physical memory. Like to keep things stored physically on your computer instead of in the cloud? Not only do you get fast boot up speeds with the SSD, but this model includes a secondary 1TB hard disk for data storage. You get the traditional clamshell design many users prefer, but don’t lose out on the touch screen functionality either. The only reason you might want to consider other options is if you need a hybrid laptop that can fold over like a tablet. In that case, we’d recommend going with the Inspiron 13 5000 instead. You still get high end specs for a similar overall experience, but that model has a 360 degree hinge for rotating in different configurations. The screen’s overall quality basically controls the window into everything you do with your laptop. Always aim for what best suits your needs. A TN panel for instance is great for gaming since this has the fastest response time among the panel types. Models like the Dell Latitude 7480 instead uses IPS panel technology. This means you get to see outstanding color reproduction and depth, perfect for professionals. You can rely also rely on this design if you’re an engineering or graphics design student. IPS panels don’t just have great color reproduction and depth but also feature a very wide viewing angle. Next up, evaluating the build quality of the laptop is another thing that consumers take for granted. In fact, this is what every laptop consumer should be looking at first off. Take some time to really examine the computer before laying down any cash. See if it has a sturdy design or that the hinges on the screen are properly fit. Is it aluminum or plastic? The exterior of the laptop usually differs between models, so make sure you can check how easy it can be cleaned and if it easily attracts fingerprints in normal use. Check these features out to make sure you get a laptop that’s not just fast, but will also last. Storage, weight, and battery life are three specifications that are often overlooked in the rush to find the most powerful machine. Unless you use your laptop to download HD movies or record videos, any model with a smaller SSD storage should do just fine. SSD is always superior to HDD in terms of performance and the difference in boot and loading times is like night and day. With how files are being stored in the cloud these days, you don’t necessarily need as much space offered by slower HDD models. In terms of overall thickness and weight, always go with a lighter laptop if you’re a student or do actual work tasks on the machine. The best Dell laptop for work and the best for students are less than 1.5kg, which means they’re easy to carry around. 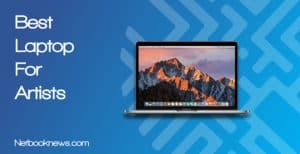 Finally, go and get a laptop with great battery life. Period. Smaller, lighter models with 8th gen processors tend to have better battery life and usually offer all day usage without needing to plug in. Larger screens and dedicated graphics cards will consume power at a much higher rate. That usually means any laptop meant for gaming is going to take a big hit on battery life, which is a trade off you’ve got to expect. We spent plenty of time researching to come up with this list, so we hope our breakdown of contenders helped clear your mind on which laptop you should get. Which one is best for you, and are you planning on picking any of these 5 best Dell laptop options? We’d like to hear your thoughts down the comments!